The Australian Sports Brain Bank was established in 2018 by the Neuropathology department at Royal Prince Alfred Hospital in Sydney, in partnership with the Brain and Mind Centre at the University of Sydney, and the Concussion Legacy Foundation in the USA. The driving aim of this collaborative effort is to better understand the long term effects of concussion in Australian sportspeople, and to contribute to world class research on the topic. Sportspeople both with and without a history of concussion are valued donors. Please send enquiries via the email portal on the home page, or see the contact page for more ways to get in touch. Michael Buckland is a senior neuropathologist and the Head of the Department of Neuropathology at Royal Prince Alfred Hospital, Head of the Molecular Neuropathology Program at the Brain & Mind Centre, University of Sydney, and Co-Director of the Multiple Sclerosis Research Australia Brain Bank. Dr Mobbs is a neurologist with sub-specialty expertise in cognitive disturbance, neurodegenerative disease, such as Alzheimer' disease and other forms of dementia, and neuropsychiatric disorders. She is also Clinical Lecturer at The University of Sydney where she undertakes clinical research. Dr Mobbs has previously represented Australia in fencing and the modern pentathlon. She has a particular interest in understanding (and treating) both the short- and long-term effects of concussion in sportspeople. Dr Harding is an experienced brain bank coordinator, managing multiple brain banks under the auspices of RPAH Neuropathology, including the Multiple Sclerosis Research Australia Brain Bank. He has a Bachelor of Science from the University of Adelaide, and a PhD in Teratology from the University of Sydney. 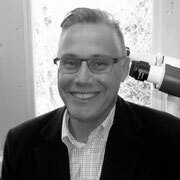 Dr Harding has a long- standing interest in neurological disease and has made significant contributions as an academic researcher. He has represented Australia at multiple World Transplant Games. He is a passionate advocate for organ donation programs, and holds multiple honorary scientific positions.